Even the most seasoned email marketers have made mistakes. But the biggest mistake of all is not knowing what the biggest mistakes are so that you can avoid or fix them. 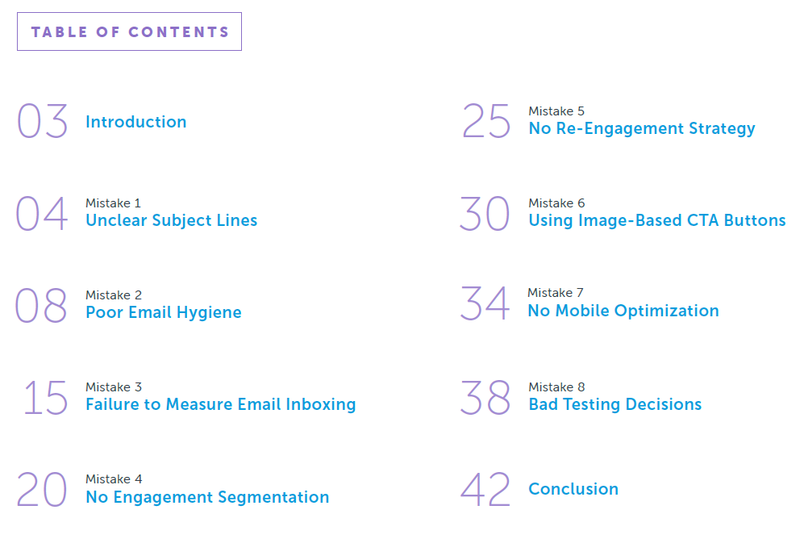 This ebook cover the eight most common email marketing pitfalls, including those related to deliverability, subject lines, design, and more, to help you understand how to avoid or fix them. By following the tips outlined in this guide, you’ll be well equipped to avoid major email marketing disasters that could hurt your success, sender reputation, and credibility. 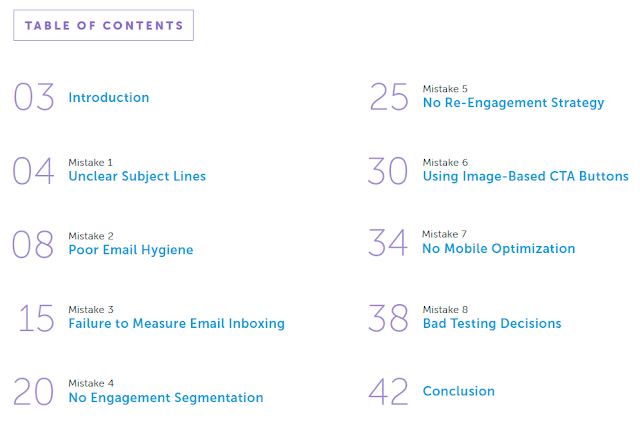 Download "The 8 Biggest Mistakes Email Marketers Make..."